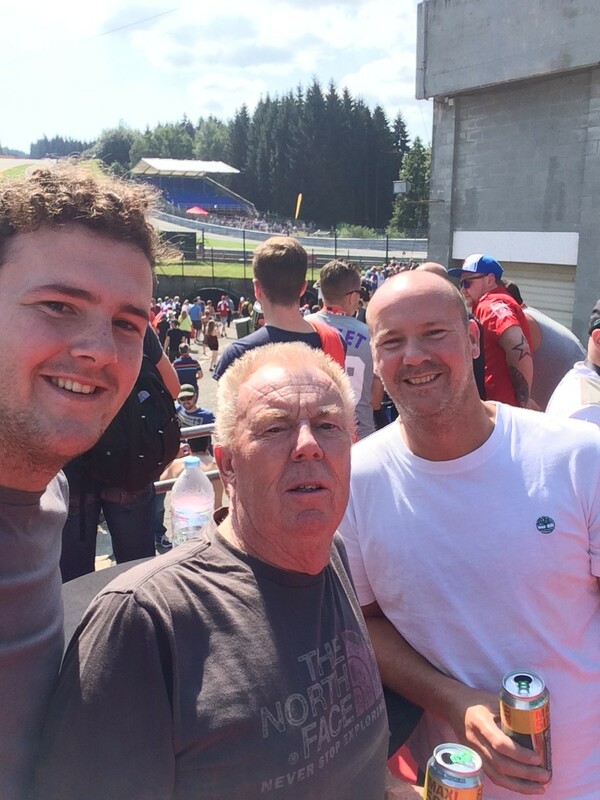 The Belgium Grand Prix has always been one of my favourites and with Silverstone prices hitting £155 for a 3-day general admission ticket in 2015, I thought it was time to go and see it live at Spa-Francorchamps for myself. 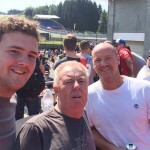 My Dad and Son are keen F1 fans so I booked three 3-day General Admission tickets via the Gootickets website. They are one of Formula 1’s recommended ticket resellers. I bought the tickets during the early bird offer at the beginning of the year and paid just €116 each. 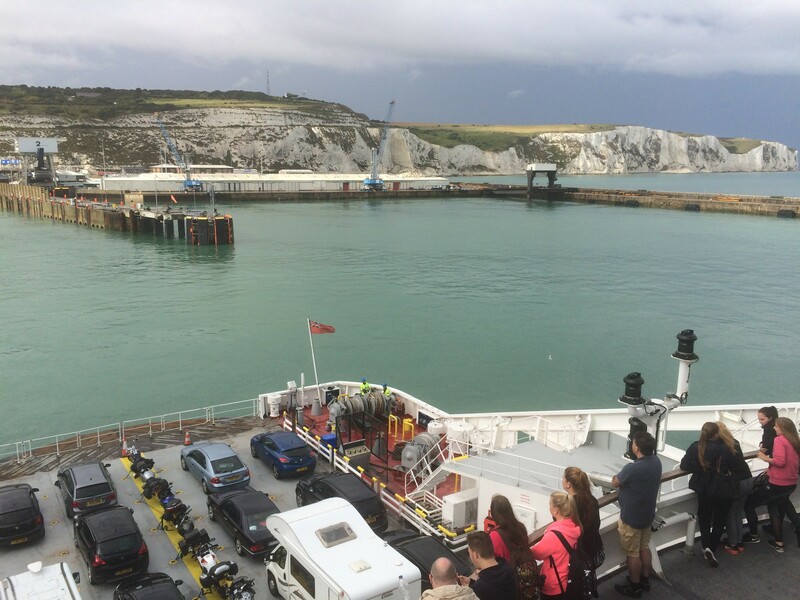 I arranged a ferry at the same time for £140 return for a large car and 3 passengers. 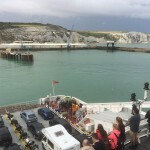 The ferry was booked direct with DFDS Seaways and I went for the Dover – Dunkirk route. 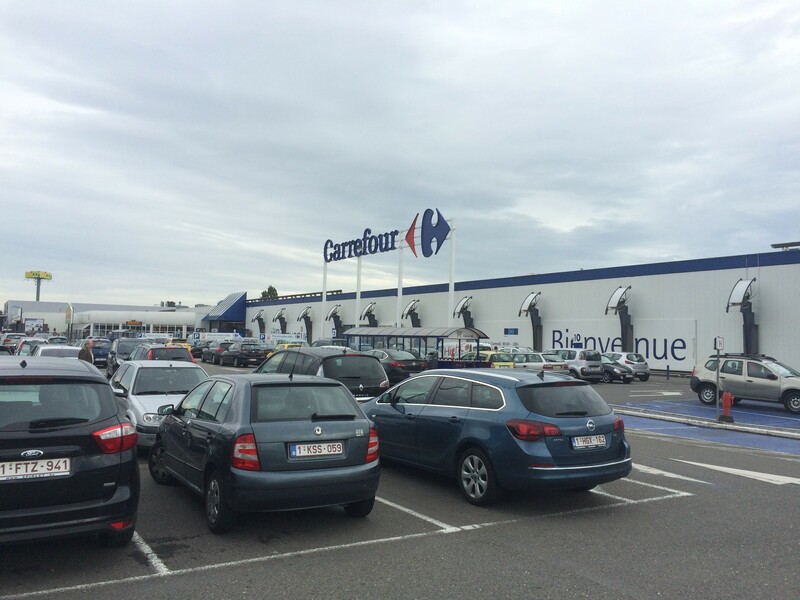 This route is slightly longer than Dover – Calais but gets you further up the coastline. 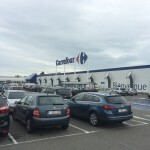 Dunkirk is a smaller Port than Calais but I found the Ferry Port easy to find and the service to be quick and trouble free. Our plan was to take the E42 from Dunkirk all the way to the circuit but we some how missed the turning when leaving the Port and ended up taking the E40 which the Satnav labelled as the fastest route anyway. It’s a good route although can get congested in places. We were held up for an hour due to an accident and found the roads a little confusing when you hit Brussels. 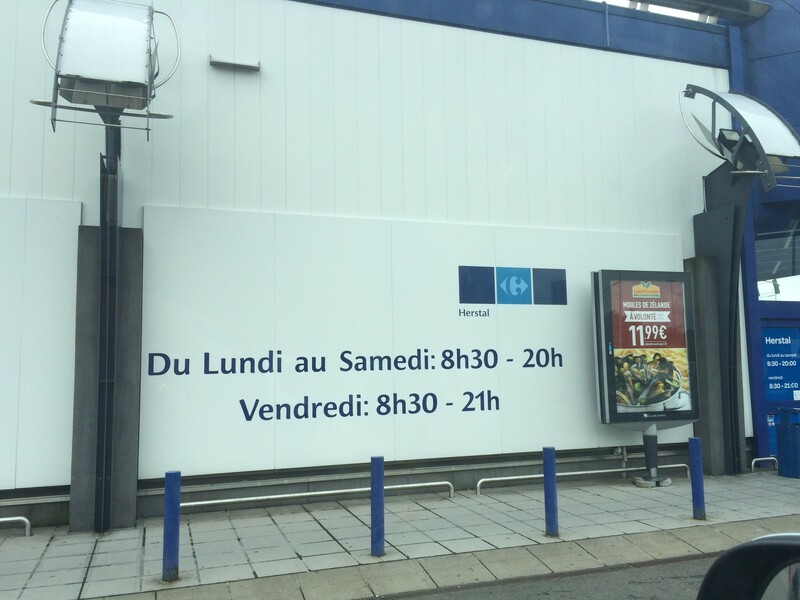 You need to the take the North Ring Road around Brussels before re-joining the E40. The main towns along the route from Dunkirk are Bruges, Ghent, Brussels and Liege. 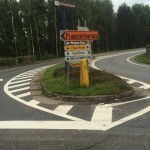 You join up with the E42 at the Battice junction, simply follow signs for Verviers. 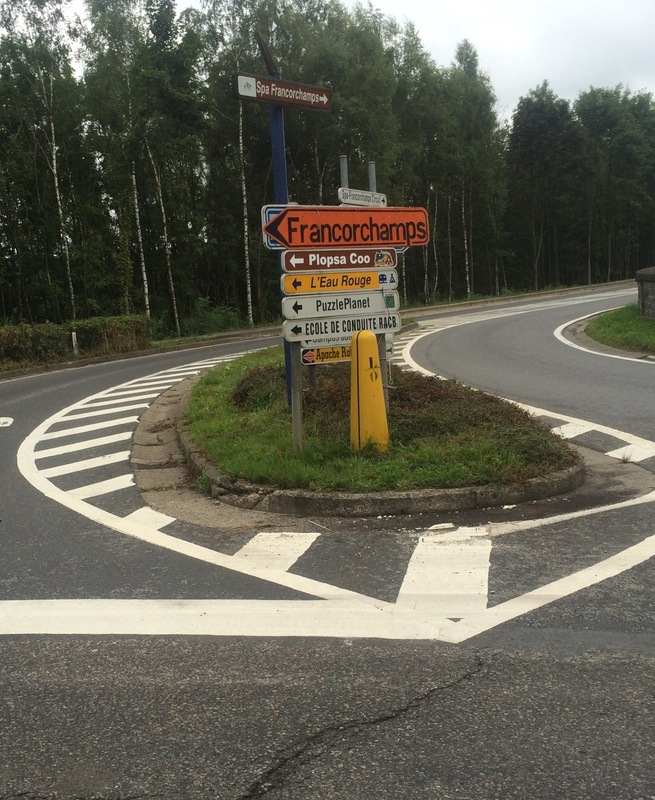 The circuit is well signposted from here – the town of Francorchamps is at junction 10. 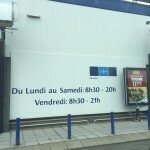 Just a note of warning for the Ring Road leg at Brussels. I’d recommend leaving some extra time if you’re travelling during rush hour as it can be very busy. 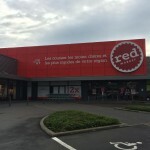 If you’re planning to pick up some food and beer on route I’d recommend the Carrefour Herstal Hypermarket at junction 35 Oupeye. 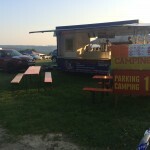 If you’re camping this will have everything you need in including Hot Pizza and Rotisserie Chicken for the first night!! 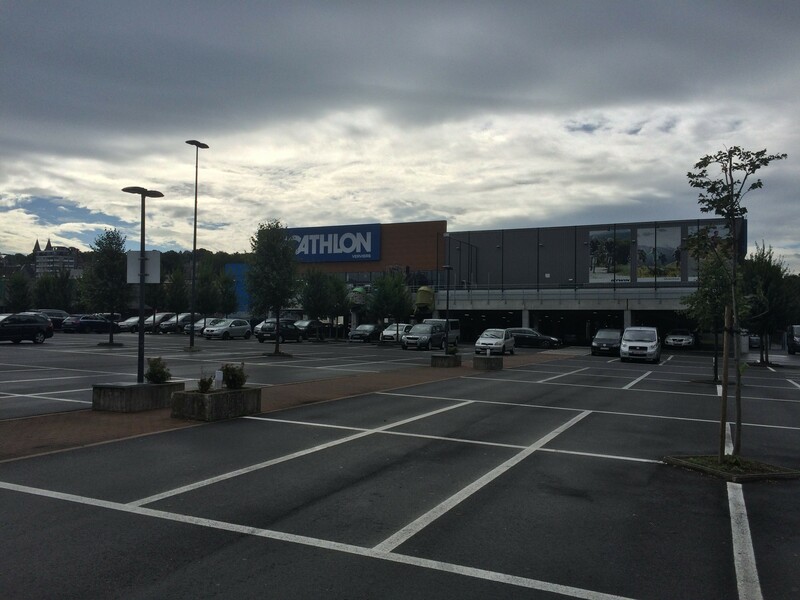 There’s also a smaller supermarket on route at Verviers as well as a Decathlon camping store if you forgotten anything. 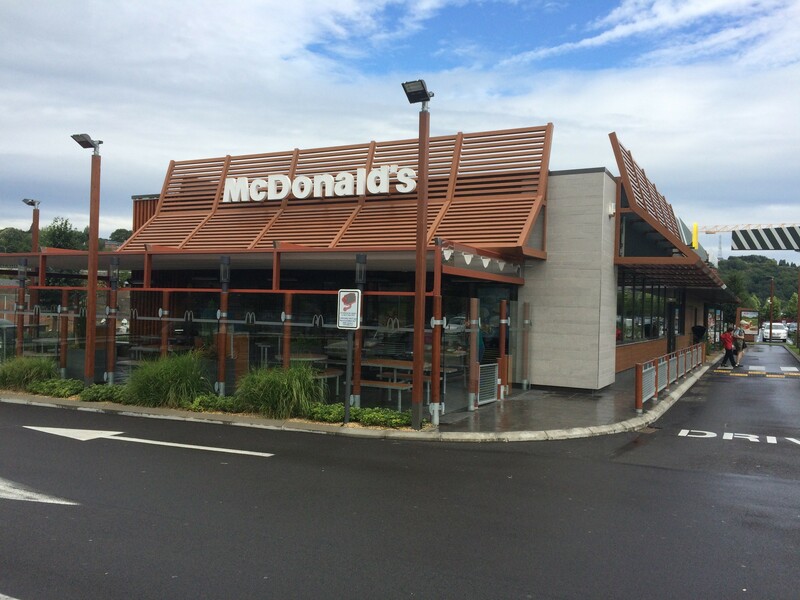 There’s also a McDonalds which was ideal for grabbing a quick breakfast and coffee on the route back. There’s many sites to choose from including CampingF1, the Elephant Camp site, Yellow and Green sites which seem to be the most promoted by the ticket resellers. In the end we decided not to book as a work college had recommended a site on the South of the circuit where you could just turn up. The site was called Stavelot but it’s not in Stavelot, slighty confusing! 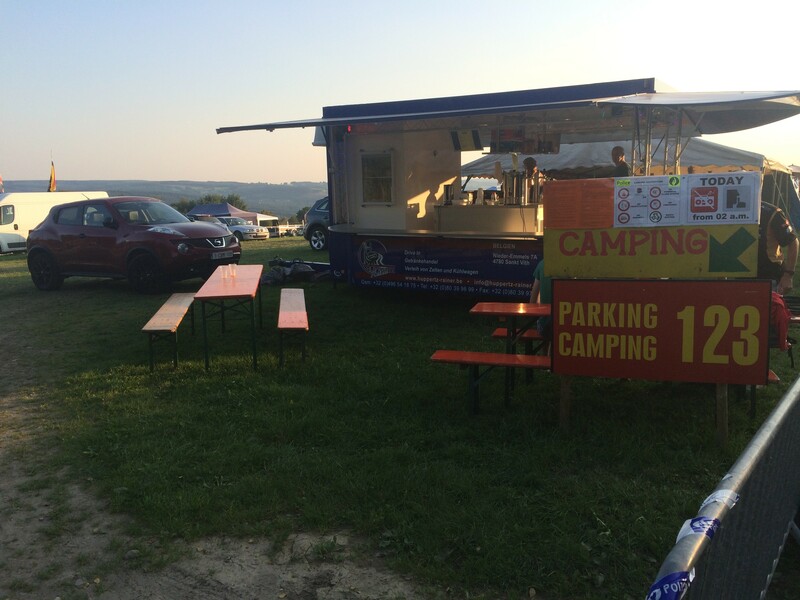 The camp site can be found by exiting the E42 at junction 11 (Malmedy) and then turn right on the N62 Route de Spa road. Stay on this road for just over a mile and half and you’ll see the sites in front of you to the left. We didn’t go in the first site on the right, but continued up to the entrance of the circuit and went in the site on the left. 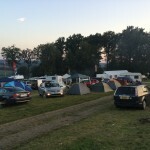 The camp site cost €134 for 4 nights and there was no restriction on the size of our pitch. The site was a little basic but the ground was level and there are tracks to walk/drive on. There were no showers but you could walk across the road to the first site which had plenty of showers with a charge €3 (How very Belgian!). Toilets were cleaned and more importantly emptied every day. There was a Belgium Fast Food trailer on site selling, deep fried burgers, sausages and chips with a full range of sauces! 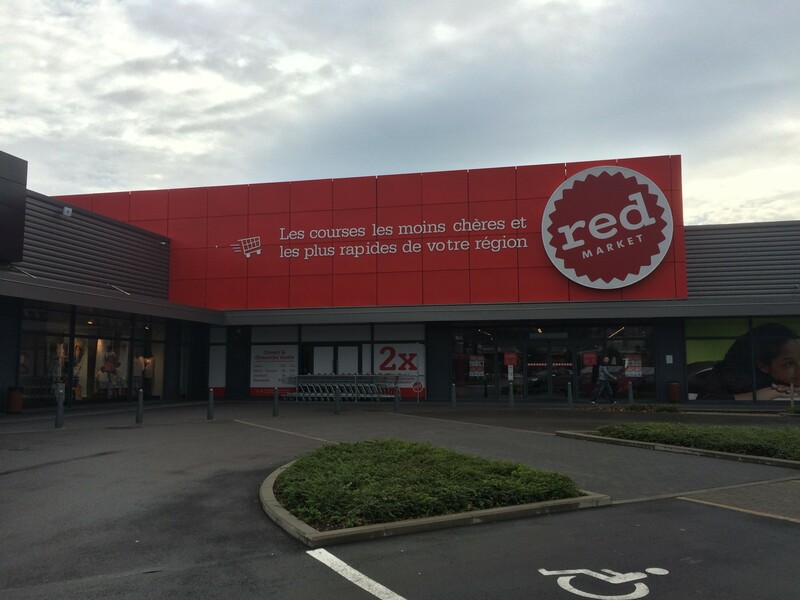 You could also buy 6 beers for €10. 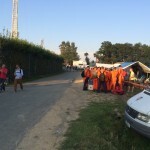 There was a great party atmosphere at the site with a number of large groups with full on sounds systems and lighting equipment. If you’re into Techno this is the place to go! The music goes on well into the early hours accompanied by a number of random firework displays. We all got into the party atmosphere and enjoyed a few beers during the evenings, which helped with sleeping. The best thing about our camp site was the location. It’s literally across the road from the Les Combes entrance to the circuit, which was great as I was keen not to use the car. 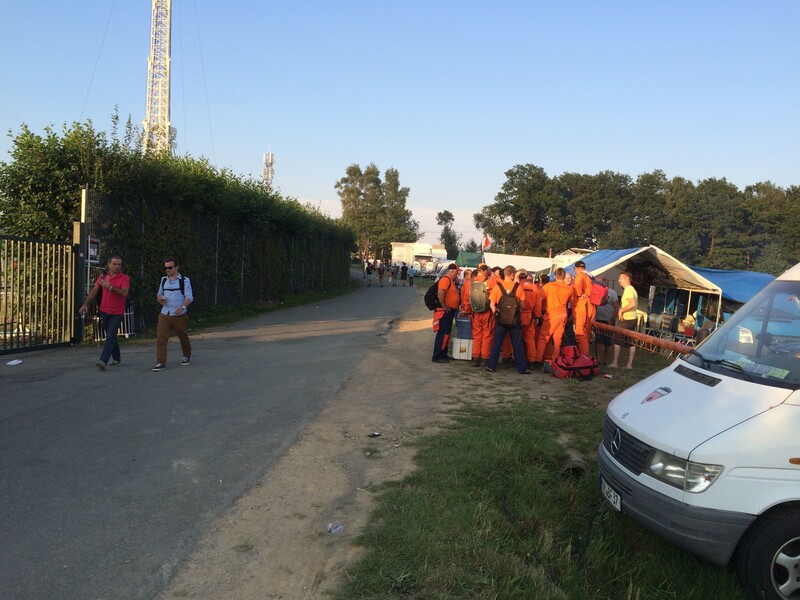 From the South of the circuit there’s a number of viewing areas for General Admission ticket holders. 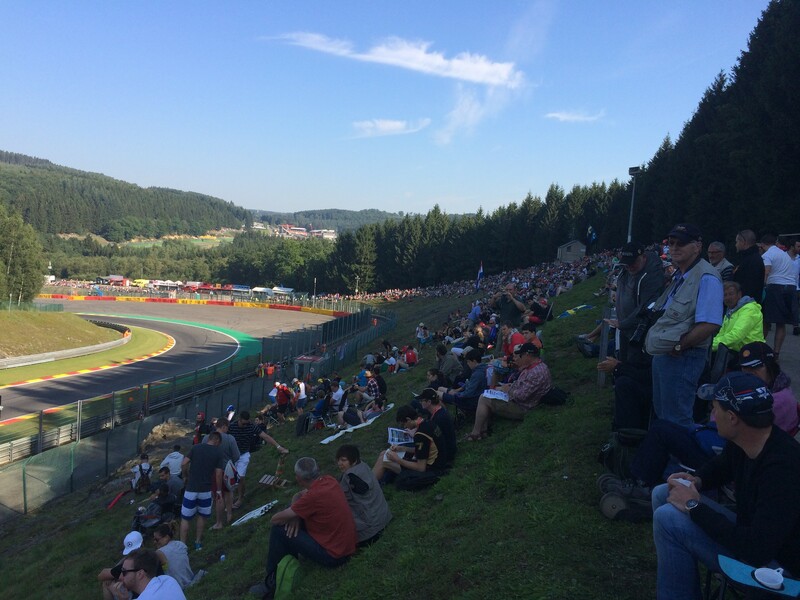 The Les Combes section is great for race action but the double fences don’t make it ideal viewing. 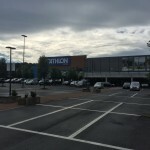 The south entrance is also in easy walking distance of the Kemmel Straight. 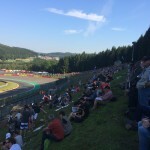 Our preferred option was to head through the tunnel between Les Combes and Bruxelles and sit on the hillside section before Pouhon. There’s a large screen opposite the bank so you can see all the action as well as enjoy the live downhill action on the track. Some must sees include the Eau Rouge and Raidillon. 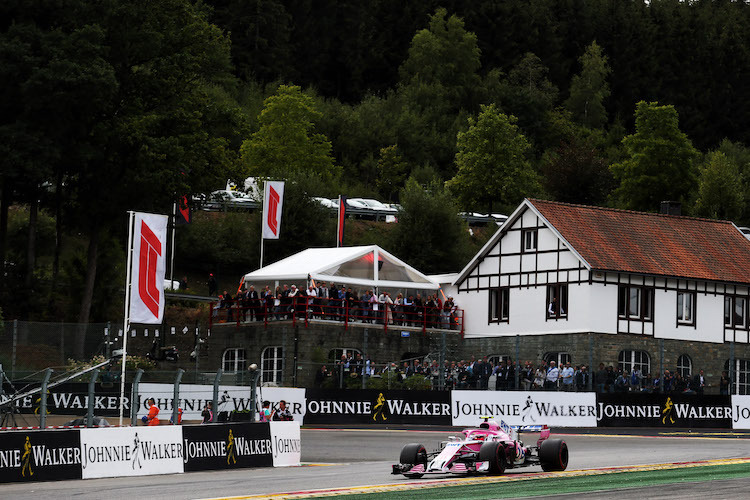 This has got be not only one of the best sections of the Spa circuit but of any circuit worldwide. The change in direction and steepness of the circuit is amazing to see. Watching it on TV doesn’t give it or the drivers justice. Whilst in this area of the circuit you can also visit the F1 village behind the Grandstands. The bus stop chicane (last corner on the circuit) is also a must as one of the main overtaking parts of the circuits as the cars break heavily before entering the chicane. 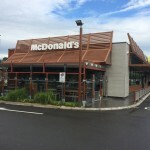 As for food and drink there are plenty of food and drink outlets dotted around selling the normal fast food including burgers, Sausage, kebabs and of course chips! It’s a bit pricey but nothing compared to Silverstone. A large can of beer was €3.5. 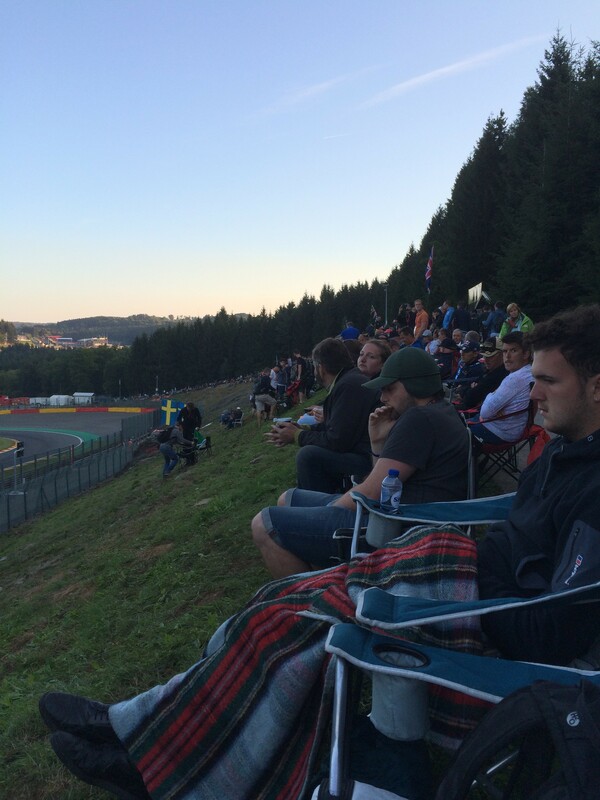 It’s far more relaxed at Spa however and there’s no problem with taking in canned beer and your own food. 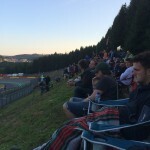 You’ll see plenty of F1 fans with cool boxes, trolleys and purposely customised chairs for the banked hillside. If you have General Admission tickets be prepared for a long day. I was up dressed and at the gate for 6:30 and was there was about 60 people in front of me. The gate opened at 7 and by then there was a good couple of hundred people. Although so near to the front I still had trouble getting to the spot we’d chosen after checking the best place to sit from Friday practice and Saturday qualifying. 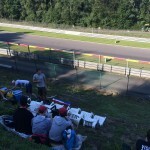 We decided on Pouhon section due to the closeness of the entrance and the good views of the track and large screen. I was unable to beat some of the younger fans that ran past me once through the ticket checks. Although I managed to line up our 3 chairs at the top of the hill with nobody in front. We had a good view of the large screen and track and were in easy reach of refreshments and toilets. It’s worth making the effort to get up early as by 10 o clock there were two further rows of chairs behind me and most of the bank was full. 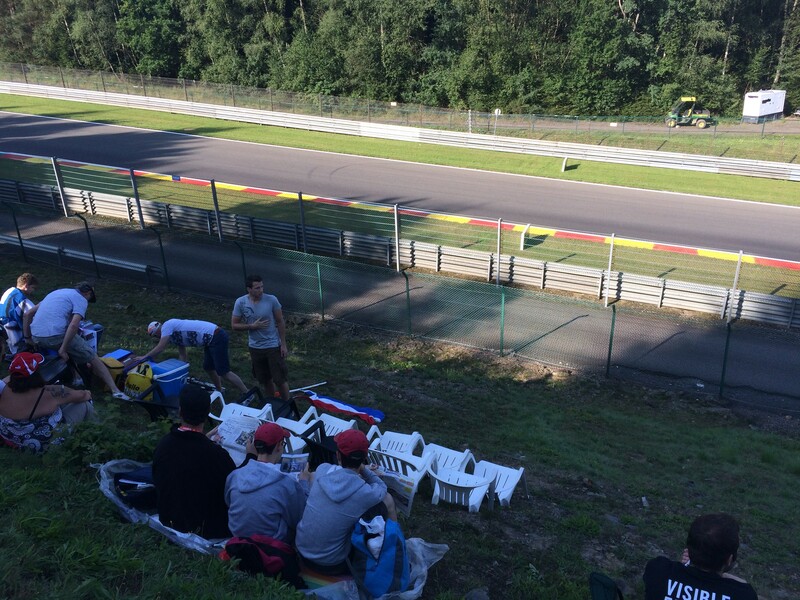 If you have your customised chairs for the banked hillside at the ready you maybe able to arrive around 8ish but don’t count on getting a prime spot. There were a lot of British fans so the support for Lewis Hamilton and the other British drivers which was created an excellent atmosphere for the race. The Dutch are very excited about Max Verstappen and well they should be with an excellent race start to his Formula 1 career. Starting 18th he put on a great show and finished an impressive 8th. I’ve estimated my costs based on current Euro exchange rate. I’d recommend filling up with fuel in Europe as it’s a lot cheaper. So even taking into account the extra cost for fuel and the ferry crossing, it’s still worked out cheaper than attending the British Grand Prix. Without a doubt I’ll be going back again! We were very lucky with the weather, which can be unpredictable to say the least. In fact we enjoyed beautiful sunshine up until 6:30pm Sunday evening until the clouds opened up. 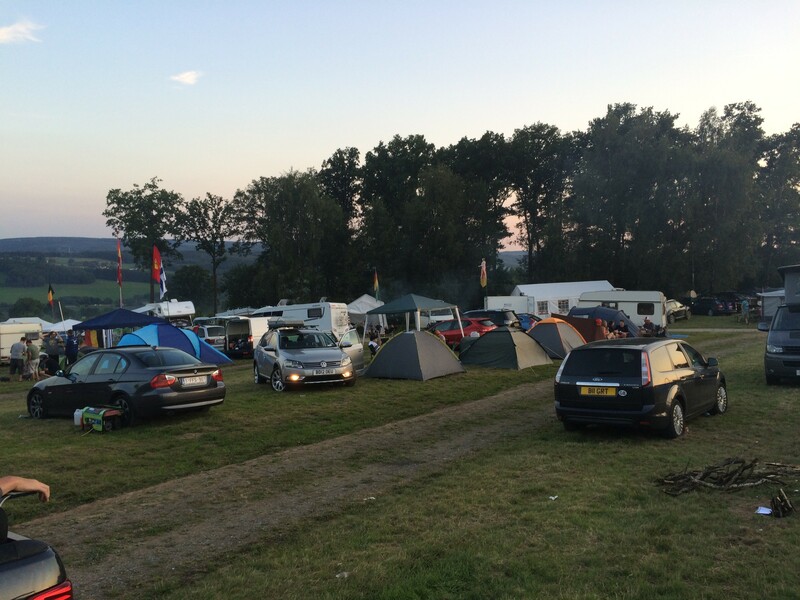 The atmosphere at the circuit and the camp site was great fun, unthreatening and friendly with all enjoying a common interest. What would I do different? Book a grandstand ticket for race day. Don’t get me wrong, the general admission areas are excellent and no doubt when the tickets come on sale I’ll end up booking them again!! But to make the trip extra special, the luxury of reserved seating for race day would be the icing on the cake!